I’m pretty sure you’ve all heard the phrase hundreds of times by now. Well despite fans slapping these two words across everyone’s faces you’d be surprised how many people haven’t followed the suggestion. Mike Z and Lab Zero weren’t playing around when they made this masterpiece 7 years ago, and the love and care that went into every aspect of Skullgirls shines a ray of truth on that fact. So, if this game’s low price (I’ve seen it go for literally $1 multiple times), great community, or amazing dev team who has kept the game polished for 7 years now haven’t convinced you, hopefully I can. When it comes to mechanics, Skullgirls does something I really admire. Recognizing if it ain’t broke, don’t fix it. Instead of looking to reinvent the wheel, Skullgirls looks to the past and borrows from great fighting games such as the Marvel vs Capcom series and Guilty Gear. There’s even a video of Mike Z showing off some hidden mechanics from MvC2 he took and put into it. However, unlike Marvel, Skullgirls sports what they call the “Infinite Protection System” which prevents touch of death combos, infinites, and unblockable loops along with many other defensive mechanics to balance out the crazy mix-up/reset oriented gameplay. So, if you die it might still be due to some BS… but at least you’ve got tools to fight said BS, right? Everyone knows that the cheapness that comes from the team games depends on your team. When it comes to that, this game gives you OPTIONS. You get your standard assist selection, but you get to pick from every grounded normal and special your assisting character has. You can tag your characters in and out, but each character’s tag in animation is a different attack that can be comboed or setup into. You get your usual team selection choices, BUT you can choose whether to have a team of 2, 3, or even go solo (and each selection is viable). The icing on this cake of creativity is that every character is competitively usable, as they all have as much depth as the player is willing to explore. This results in an incredibly freeing and fun fighting game experience that will have you in training mode for hours. And no, there is no role that the character MUST fill because how flexible each of them are. You truly get the ability to make your character(s) and team your own. The team behind Skullgirls have shown nothing but love towards the game and its community in one of the greatest ways possible. They listen. Lab Zero regularly looks at player findings, constantly puts player feedback into consideration, and patches the game accordingly. This system is one of the many reasons Skullgirls grew to be as great as it is. So now you know that Skullgirls is a great fighting game that features mechanics that any fighting game fan would appreciate and the VS game creativity that so many players live for. Don’t even get me started on the great visuals, amazing netcode, an in-depth training mode, and astoundingly helpful tutorial (something that other fighters could learn from). 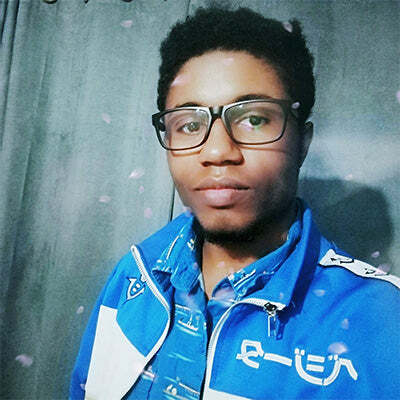 Deangelo is a writer with a huge love for playing and writing about fighting games (along with countless other game genres).